Two years ago, back in May 2011 – a pub in Islington, twenty people in the audience, three speakers – three judges, the ‘getting your heart racing’ Impromptus and Speaker Express Club was born. It’s our BIRTHDAY this month – two years of Speaker Express – two years of speaking without limits! The pub closed down last year but Speaker Express is going strong! Especially on Facebook – our favourite hang-out! There is enormous power in learning and testing out your skills in front of an audience. The growth has been unstoppable, both for Speaker Express and for the speakers in the Members Club, which we launched last November. Just this week, a few of us spoke at TeachMeet – an event for and with inspiring teachers. With 200 people in the audience, yes, we all were a little nervous but the power and passion for your message should always be greater – and they were. Topics we shared were teaching through nature, digital leadership, experiential learning, teaching through TWEETS and the importance of nurturing an entrepreneurial mind-set in kids. It was incredible to share the stage with some of the best teachers in the UK. Looking back two years ago, Speaker Express started as a place for speakers to train techniques learned from different international speaker trainers like Clinton Swaine, Joanna Martin or Chris Howard. With experience we realised, yes, techniques are important but too much technique takes away from your authenticity and your ability to really connect with the audience. When you speak from the heart you need no notes – you know what you and your topic are all about. Yes, even accounting can be interesting, if the speaker is truly connected to the subject and allows that enthusiasm to shine through. If you are speaking on a more professional level, preparation of course is crucial. This is a technique. Structuring those ideas for maximum impact is a technique. 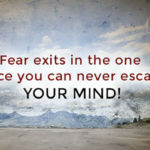 Before you get in front of your audience, there are different techniques to calm those nerves. Planning to use space (stage anchoring or blocking) is a technique. How you actually use the space and incorporate whatever happens in the moment might not be technique. 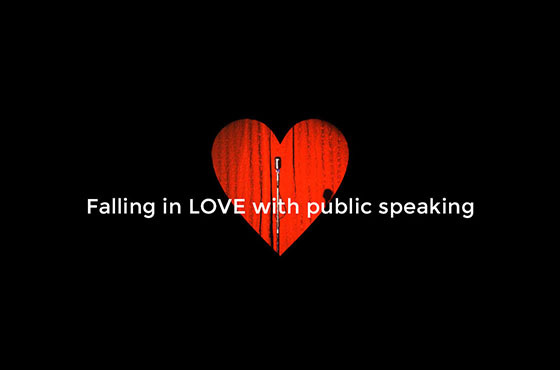 We believe that everyone can fall in love with Public Speaking – no matter what you experienced from stage before, we grow and improve by doing, especially when things go not the way we anticipated. This is to say THANK YOU to all our members and professional speakers, who continue to share their expertise with us! WE LOVE YOU AND PUBLIC SPEAKING! PUBLIC SPEAKERS have one thing in common. They learn to get comfortable with being uncomfortable. To have this courage is NOT a technique but a CHOICE.